This summer is shaping up to be a fantastic one at the Hotel Jardin Tecina. We have already talked about the free kids’ places that we have available from May until October (T&Cs apply), but there are plenty more reasons why you should head off to the island of La Gomera for your own Canary Island holiday. 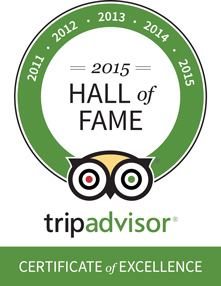 The Hotel Jardin Tecina has recently been added to the TripAdvisor ‘Hall of Fame’ thanks to its continued achievement in the hospitality industry. This fantastic accomplishment is down to the fact that the hotel has received a Certificate of Excellence from the travel review company in each of the last five years. Trip Advisor states that the Certificate of Excellence is only given to around 10% of businesses that are listed on the site. Those rewarded have received consistently high praise from travellers from all over the world in the form of positive reviews. To celebrate five years of this award, the company have launched the ‘Hall of Fame’ and the Hotel Tecina is proud to be one of the first names in it. 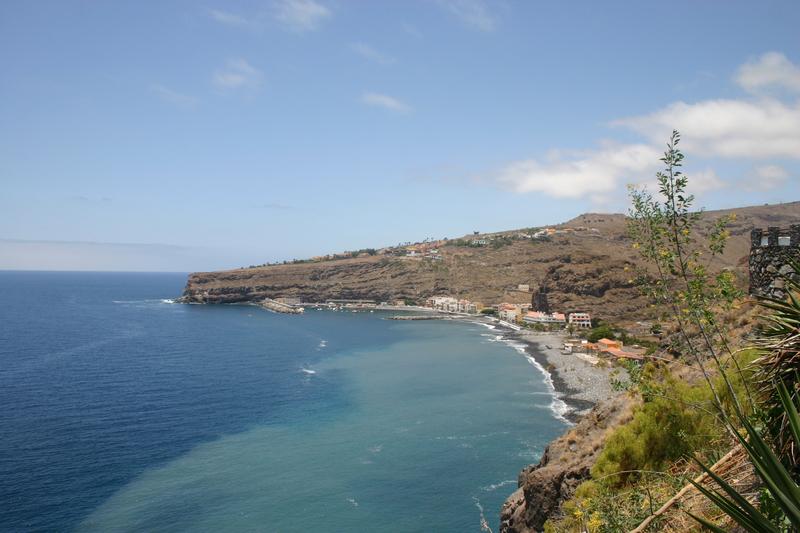 This is not the only award that La Gomera has recently earned though, as one of the largest beaches on the island has been given a Blue Flag. Playa de Santiago, located just five to ten minutes’ walk from the hotel, is covered with beautiful volcanic sand. Its ability to meet high standards of cleanliness, safety and water quality are just some of the reasons why the beach has been acknowledged by the Foundation for Environmental Education. Because of the caves and marine life, it is also great for diving and benefits from many services in the nearby town of Alajeró. In other news, there’s even more fun to be had in the swimming pools of the Hotel Jardin Tecina. Throughout the summer, the main pool area will be home to an inflatable assault course that will offer children of all ages (and adults too) the chance to really make a splash. See if you can run the gauntlet and make it all the way to the slide at the end, before plunging into the water on the other side. 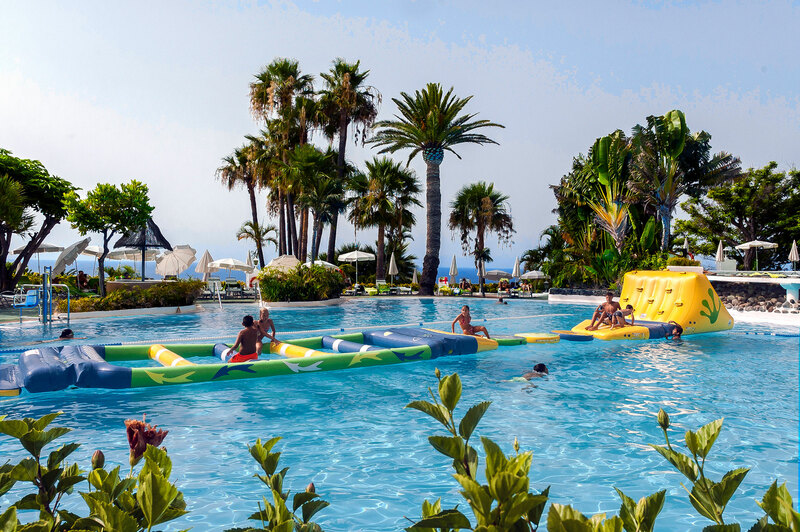 There are many different swimming pools available at the resort, all of which are heated and have lifeguards on duty between the hours of ten and six. If you would like to see for yourself why the Hotel Jardin Tecina has been awarded for its excellence, we can offer fun-filled family holidays and romantic couple’s retreats throughout the whole year. Call us today for more information or submit your enquiry online.